This post was originally published on December 18th, 2012. It was originally written by Claire Moore, but has been updated by Vaughn Springer. Most Michiganders have acclimated to the occasionally extreme weather of Michigan’s winters. We’ve evolved into a resilient, adaptive species with an ever-growing taste for experimental outdoor recreation. Winter camping has become a growing so we’ve compiled a list of the best spots to camp and appreciate the UP’s pristine winter beauty. White riverbanks. Branches heavy with snow dipping into the rushing water. A picturesque scene complete with a cold, clear river. 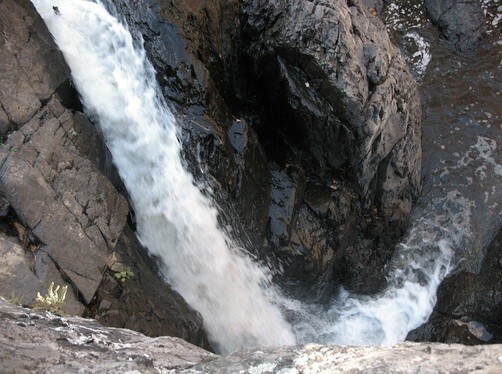 Dead River Falls is a local favorite for camping. Winter hiking doesn’t get more beautiful than this. Just try not to fall in! 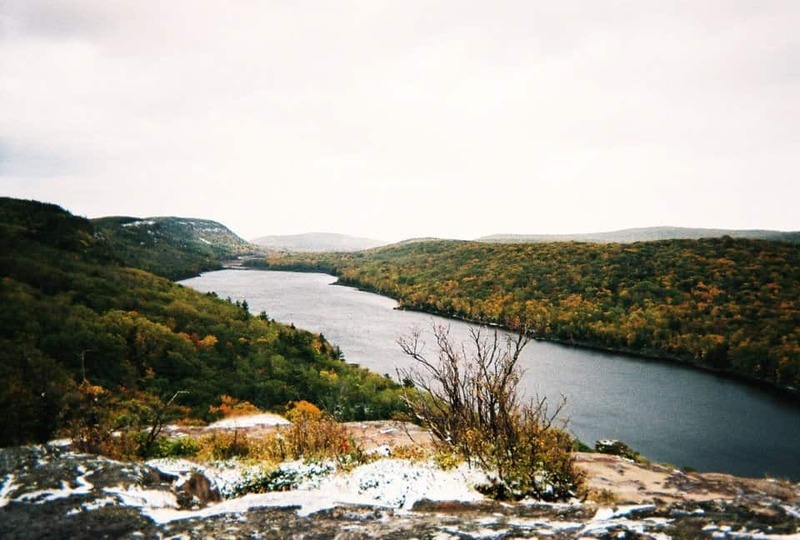 With over 50,000 acres of untouched hardwood forests, lakes, rivers, and mountains, the Porcupine Mountain State Park is an ideal spot to lose oneself in the Upper Peninsula’s stunning winter beauty. Some trees in this area are over 200 years old! Stunning views of Green Bay, cross-country ski trails, and ice fishing are just some of the amenities offered at J.W. Wells State Park. And if pitching a tent in the snow isn’t quite your style, Wells State Park has rustic cabins available for rent year round. You can reserve them online! Fort Wilkins was built as a means of keeping order during the copper mining rush in the 1840s, and now Fort Wilkins Historic State Park is the perfect campground for winter campers who enjoy learning more about Michigan’s vivid history. Although tours are unavailable during the winter months, feel free to traipse around the Fort, and Copper Harbor Lighthouse. With miles-long trail loops, and two and a half miles of Lake Superior shoreline, McLain State Park is a snow-shoer’s dream. Providing the perfect location for a base-camp, the area is known for its plethora of historical landmarks, unique natural beauty, and gorgeous sunsets. Many state parks offer year-round camping and vault toilets for convenience. Always check with your favorite park for rates and availability. Winter camping is an incomparable experience in our Awesome Mitten’s Upper Peninsula – so get out there and enjoy the winter wonderland that is Michigan! Be sure to also check out our guide for roadtripping the UP as well! Tagged camping, cedar river, Copper Harbor, Hancock, hikes, History, Marquette, mclain, Ontonagon, state park, UP, Upper Peninsula, waterfalls, Winter, winter camping.